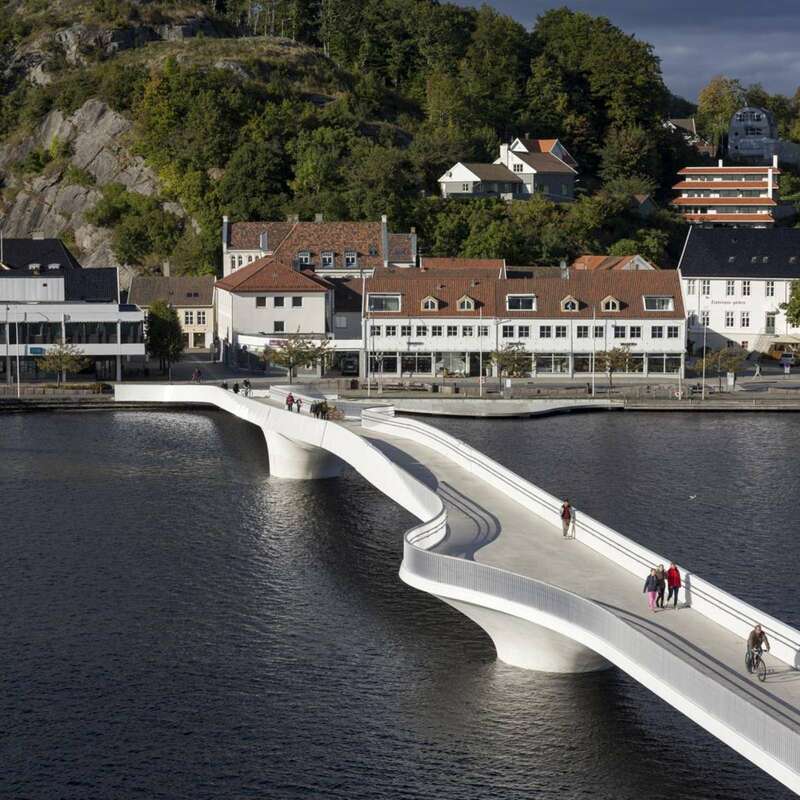 The bridge which is part of the master plan for a new and attractive city area for Mandal, which also features the cultural centre "Buen", has just been completed. 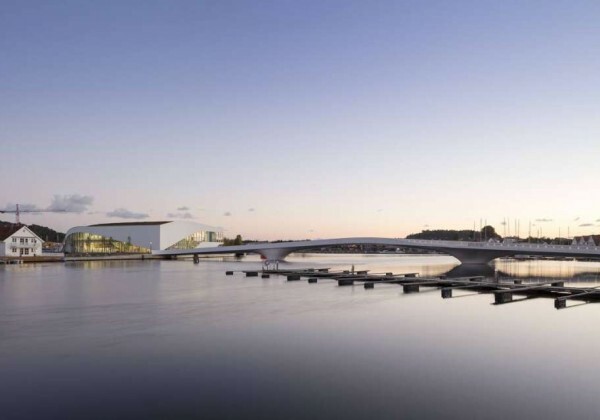 The pedestrian bridge crosses the river and connects the cultural centre with the local community.The bridge's soft movement interacts with the materials and shape of the cultural centre and binds the city's two parts together. 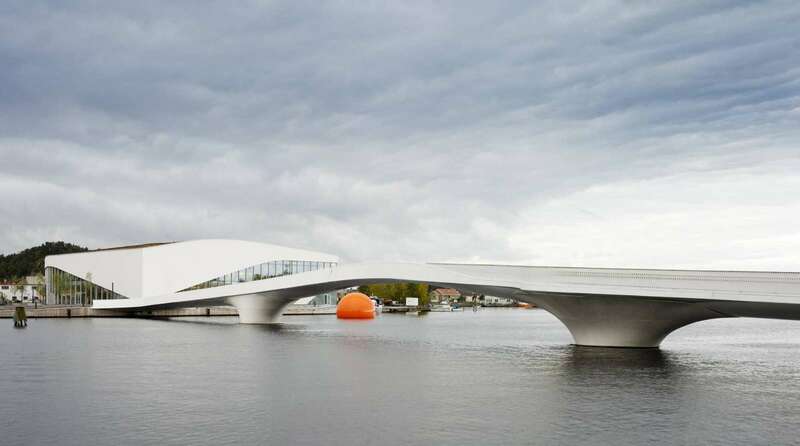 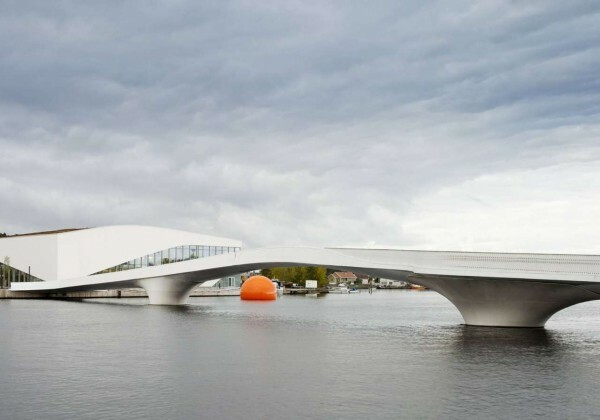 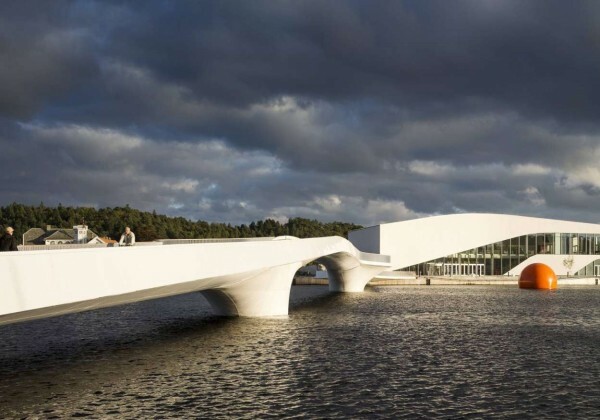 Both the bridge and the cultural centre have a white and light expression, which corresponds to the surrounding area’s white wooden houses, picturesque narrow streets, water, beach and forest. 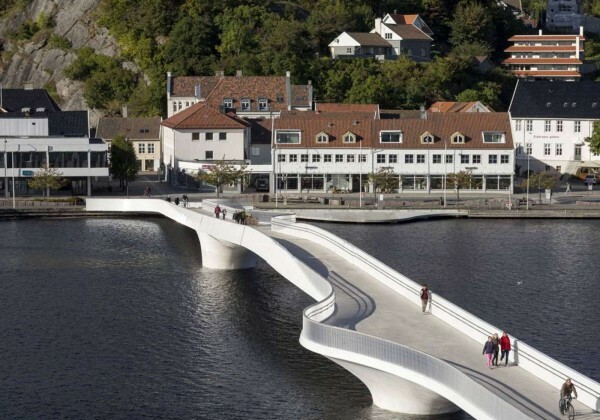 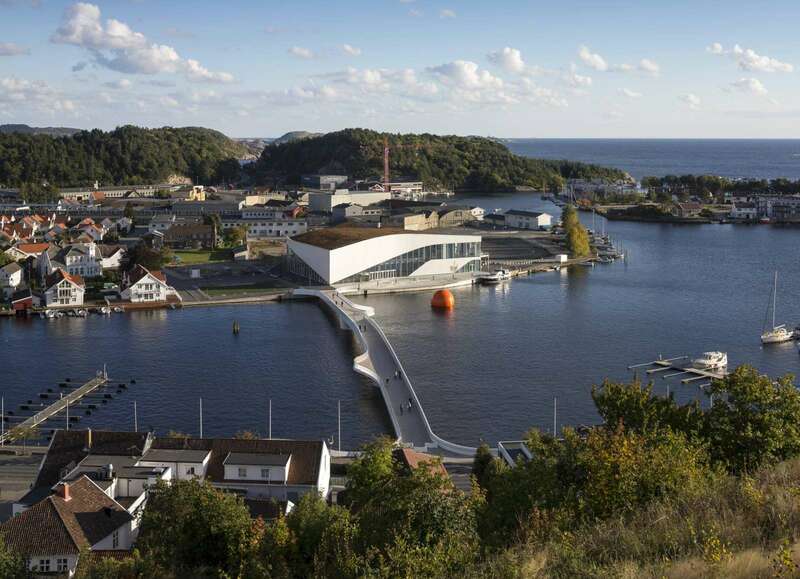 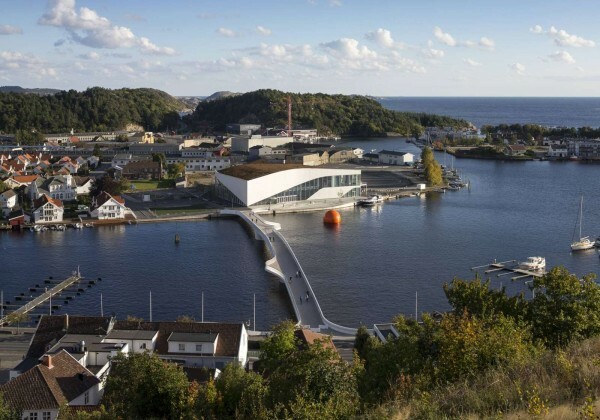 The bridge makes a slight curve and two pockets which invites to be used as open spaces and is intended as a social meeting place where the view of Norway's southernmost city can be enjoyed to the fullest.The elegant and smooth movement of the bridge plays in terms of shape and material perfectly together with the cultural centre and connects the two city parts. 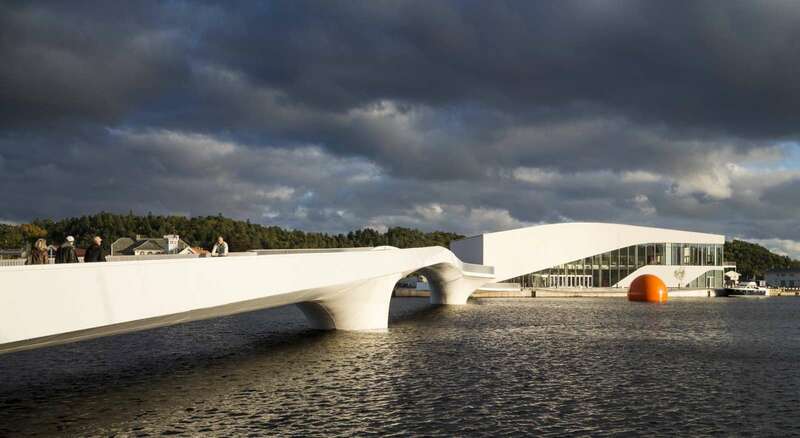 Both the bridge and the cultural center are white and light in the expression and drawn in a design context with the surrounding areas. 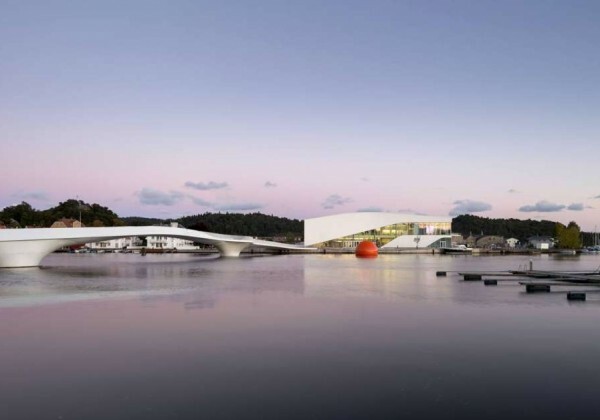 In order to achieve the best possible vantage points from both land and water the bridge and the cultural centre are placed slightly offset so that the bridge makes a flow round the cultural centre..